Alternative Version, Cover Versions, Live! ‘You Just Haven’t Earned It Yet, Baby’ is the sound of The Smiths at their chiming, ha-ha-ho-ho-hollering, twin guitar attack peak. Written, as the band usually did, quickly and as part of a triptych that also included ‘London’ and ‘Half A Person’, it was considered as the follow-up single to ‘Ask’ before being passed over at the last minute in favour of ‘Shoplifters Of the World Unite’, a move regarded as travesty by many Smiths devotees at the time. The ‘Shoplifters…’ single included both ‘London’ and ‘Half A Person’, the tracks on the b-side connected through the subject matter of moving to London, with the former a noisy glam racket that sticks two fingers up to those who are too spineless to leave and make something of themselves, and the latter a brilliantly put-together melancholic rumination of how just a move can go so wrong – “I went to London and I booked myself in at the YWCA…” The noisy and the melodic, the tragi-comedy of The Smiths on the same record. But the best of the three tracks written in that early October session, ‘You Just Haven’t Earned It Yet, Baby’ was left alone on the shelf marked ‘Great Smiths Tracks That Would’ve Made Great Smiths Singles’. The band had high quality control values – theirs is a perfectly-formed 4 studio album and 17 single discography, untarnished by stop-gap filler material or substandard releases; the perfect group. Not that there’s anything wrong with ‘Shoplifters…’ – I’m particularly partial to Johnny’s open-wah rockist guitar solo – but better single material than ‘You Just Haven’t Earned It Yet, Baby’? Nah. They got that one wrong, I think. Even if, as it turns out, Johnny thinks ‘Shoplifters…’ is the better song. The track eventually saw the light of day on ‘The World Won’t Listen’ compilation, the catch-all, semi follow-up to ‘Hatful Of Hollow’ that gathered together all the odds ‘n sods ‘n ‘As ‘n Bs from the 2nd half of The Smiths career. It also appeared in slightly different form (if you turn up the EQ on your Morrissey-endorsed NHS hearing aid, subtle nuances in the mixing can be heard, if you’re that way inclined) on the American compilation ‘Louder Than Bombs’. The song itself was borne out of in-band fighting and the politics that would eventually lead to Johnny leaving the band. Booked for 5 days in London’s Mayfair Studios, Morrissey was keen for the band to work with upcoming wunderkid producer Stephen Street. Johnny preferred the tried and tested John Porter and in the end a compromise of sorts was agreed – Street would work the first day and Porter would do the other four. To add complication to the mix, 5th Smith Craig Gannon, who’d accompanied the band on their recent US tour but had never really been fully accepted into the group , was only just hanging on to his status in The Smiths by the finest hair on his bequiffed head. History shows that the Porter sessions would be the last time Gannon would work with the band. Johnny’s tune is a classic Marr composition, tumbling in on a breath of fresh air, packed full of double and triple-tracked guitars as clear and ringing as Edinburgh Crystal, chiming, capo’d and open-stringed arpeggios and stinging counter-melodies, wrapped up and driven by a trampolining bass line and a stomping, Glitter band thud of drums in the chorus. That Johnny still plays it live in concert to this day, something The Smiths themselves never did, is testament to the longevity and beauty of the song. 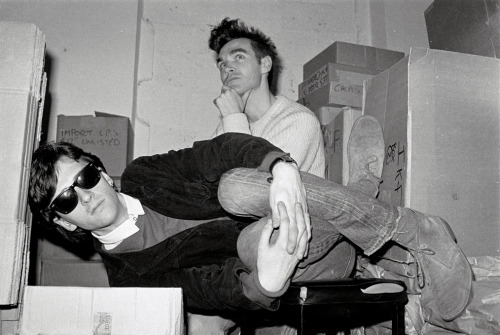 The title and lyrical refrain is attributed to Rough Trade supremo Geoff Travis who uttered the words at Morrissey after the singer asked him why he wouldn’t treat The Smiths with the importance that their status deserved. Morrissey had a point – The Smiths almost single-handedly allowed Rough Trade to flourish as a label. 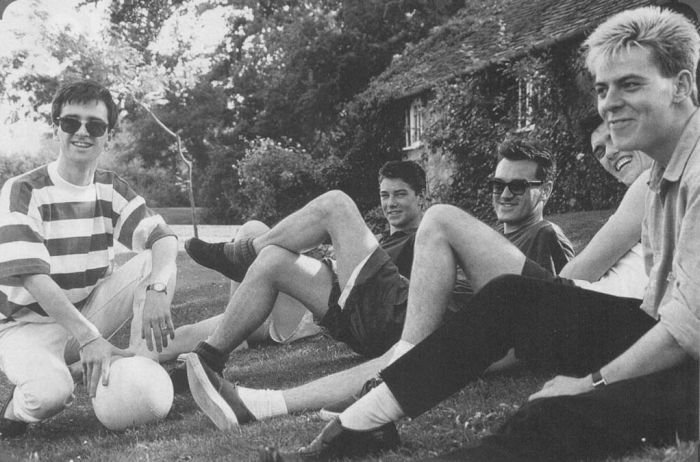 All money made from the band went back into other artists, many of whom would never have had a record deal and subsequent success without Rough Trade’s money – the money that came directly from the healthy sales of Smiths’ product. Morrissey was clearly still feeling aggrieved a few months later when he recycled the title as a lyric in ‘Paint A Vulgar Picture’, The Smiths’ scathing deconstruction of the music business. It’s possible that, after hearing ‘You Just Haven’t Earned It Yet, Baby’, and stung by its lyrical content, Travis overruled the band’s decision to release it as a single. A couple of years later, Marr would play on Kirtsy MacColl’s faithful remake of ‘You Just Haven’t Earned It Yet, Baby’, the original’s multi-tracked guitars replaced by a choir of Kirsties; airy, whispering, cooing and making it something of her own. It’s all slightly plodding, truth be told, a stodgy, sticky pudding compared to the floating on air joie de vivre that carries the original. That’s by far the best version, of course.